Cont.= 8,5 cm - Long stems with short dark leaves dotted with white tubercles. This species will start growing upright but it will later bend and clump. It will eventually from a mound of medusa-like spreading stems. 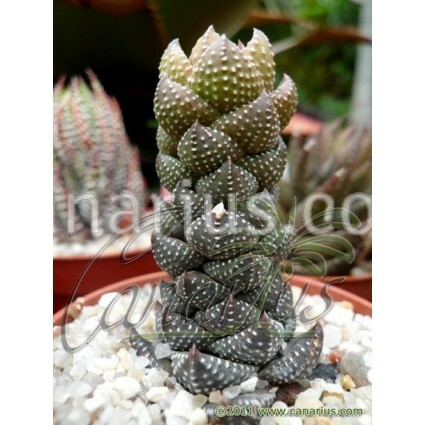 This haworthia has long stems with short dark leaves dotted with white tubercles. 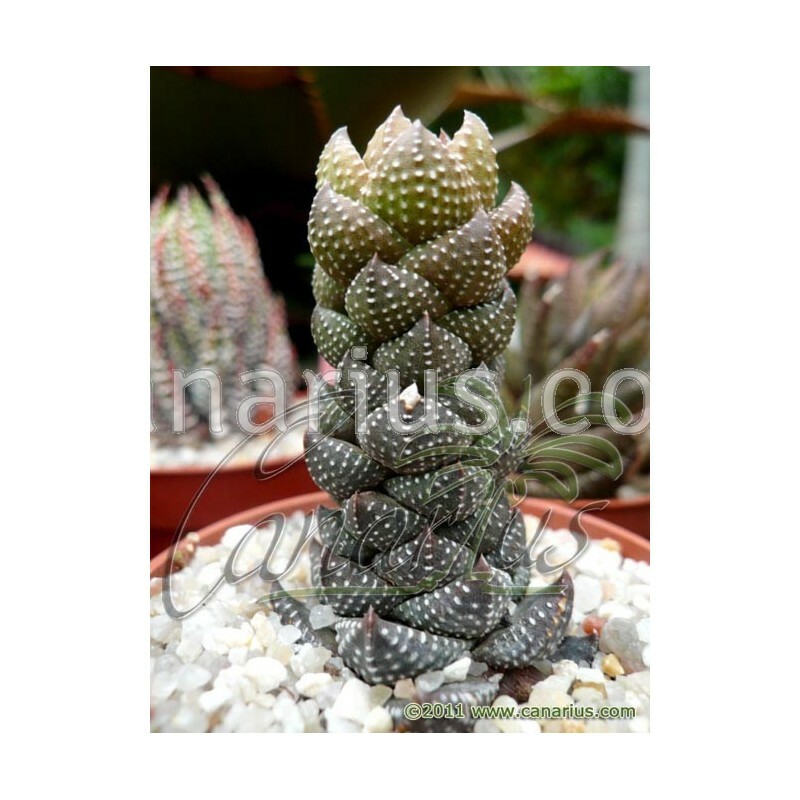 Haworthia reinwardtii will start growing upright but it will later bend and clump. It will eventually from a mound of medusa-like spreading stems. We offer a plant of the following size: Cont.=8,5 cm. Container size will give you an idea, but succulents are often sent bare root. These plants are very tolerant of bare-rooting.